Delivering remarkable quality and flexibility at the push of a button, the Motorola CLS1410 on-site two-way radio is designed for the fast pace of business. It operates on a four channels with a choice of 56 business-exclusive frequencies for enhanced voice quality, privacy and reliability. 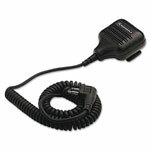 The VibraCall allows users to receive alerts in discreet or noisy situations. 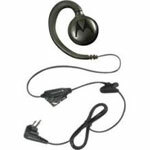 This radio is part of CLS series, an easy-to-use, affordable wireless solution from Motorola.